BoyRaket.com: MICECON 2018, a Success! 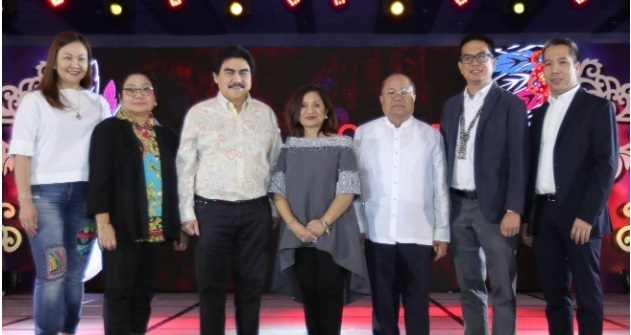 MICE (Meetings, Incentives, Conventions and Exhibitions/Events) Conference, the largest gathering of local and international MICE industry experts and practitioners, was successfully mounted this year in Bacolod. Organized by the Tourism Promotions Board (TPB), the marketing arm of the Department of Tourism (DOT), MICECON 2018 featured educational talks from world-class experts. TPB uses MICECON to strengthen the country’s reputation as the preferred MICE destination in Asia. The four-day conference was spearheaded by (center) TPB chief operating officer Marie Venus Tan and Bacolod City mayor Evelio Leonardia. Others in photo are (L-R) Bacolod City councilor Em Ang, DOT regional director Helen Catalbas, Bacolod City administrator John Orola, DOT assistant secretary Robert Alabado III and DOT Policy Formulation and International Cooperation division chief Alex Macatuno.